International immigration to Italy has attracted media attention in recent years, filling the political agenda. This phenomenon questions the existing social structures and democratic institutions. Beyond recent emergencies, its origins date back in Italy to about forty years ago, and Italian Population scholars have been among the first to point out its importance and analyze its causes, characteristics and consequences. The sixth Report on the Italian Population allows readers to follow the ten-year evolution of immigration and foreign presence in Italy, taking into particular account the specificities of the different territorial contexts. Based on statistical documentation, it analyzes the origins and characteristics of foreigners, their demographic behaviors, their integration into the labor market, their paths and characteristics of integration. Among the other issues addressed, we remark in particular the ones about refugees, citizenship and second generation. 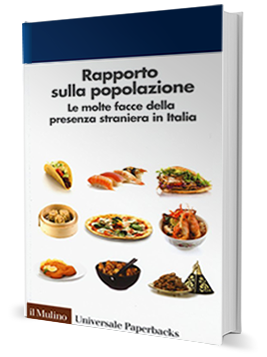 The sixth Report on the Italian Population (Rapporto sulla popolazione 2017. Le molte facce della presenza straniera in Italia), sponsored by the Scientific Board of AISP, has been edited by Salvatore Strozza and Gustavo De Santis.